Smartphone Driver Glass is a universal vehicle head-up display accessory for any phone. 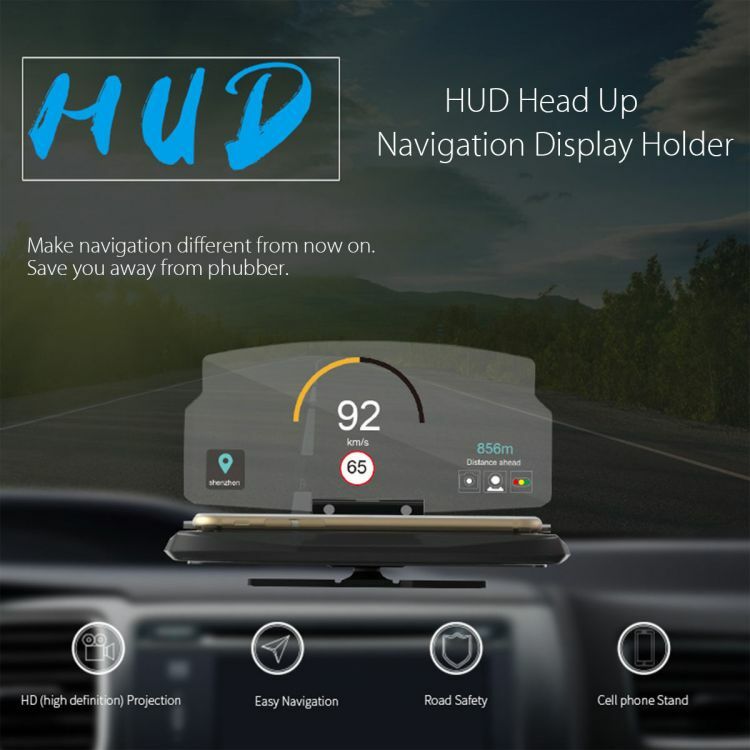 Just affix it to your dashboard, place your smartphone on its cradle, and you will see your directions and your navigation information right in your line of sight, so you'd never need to take your eyes off the road or mind off driving. It lets you use any head-up display app on any smartphone in low-light visibility or on a clear day. Just use the navigation apps on your smartphone to get directions for your heading.